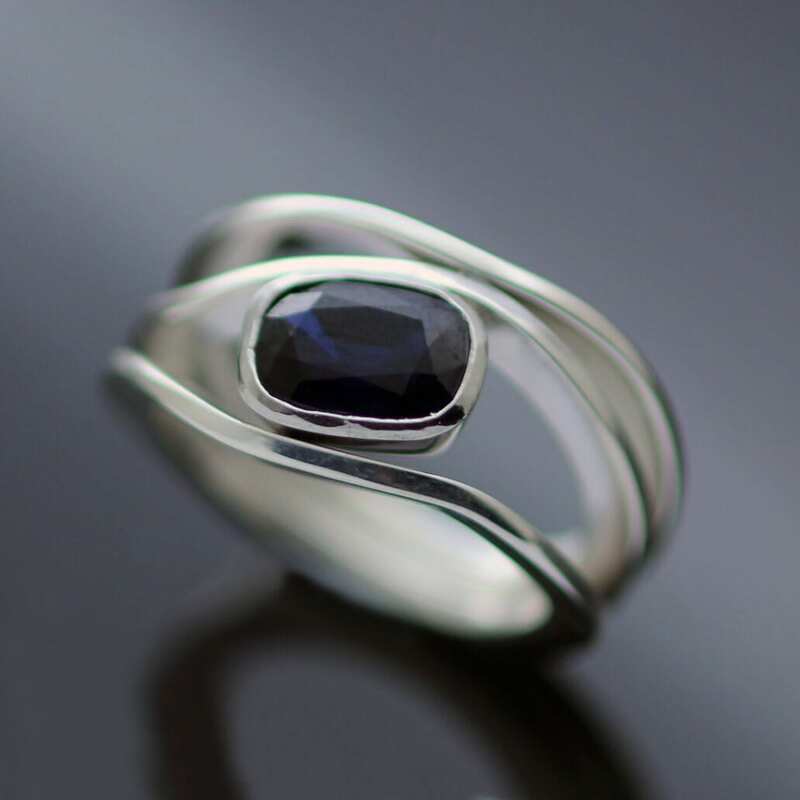 A beautiful, sleek and modern cocktail ring designed and crafted by Julian Stephens Goldsmith, offering a truly unique, contemporary and custom made piece created in collaboration with our client. Inspired by the ‘Ruscello Collection’ of contemporary, fluid engagement and wedding bands which playfully use negative space to create magical and modern ring designs this gorgeous cocktail ring is handcrafted using a trio of wavy, undulating bands of solid Sterling Silver to complete this lovely design. 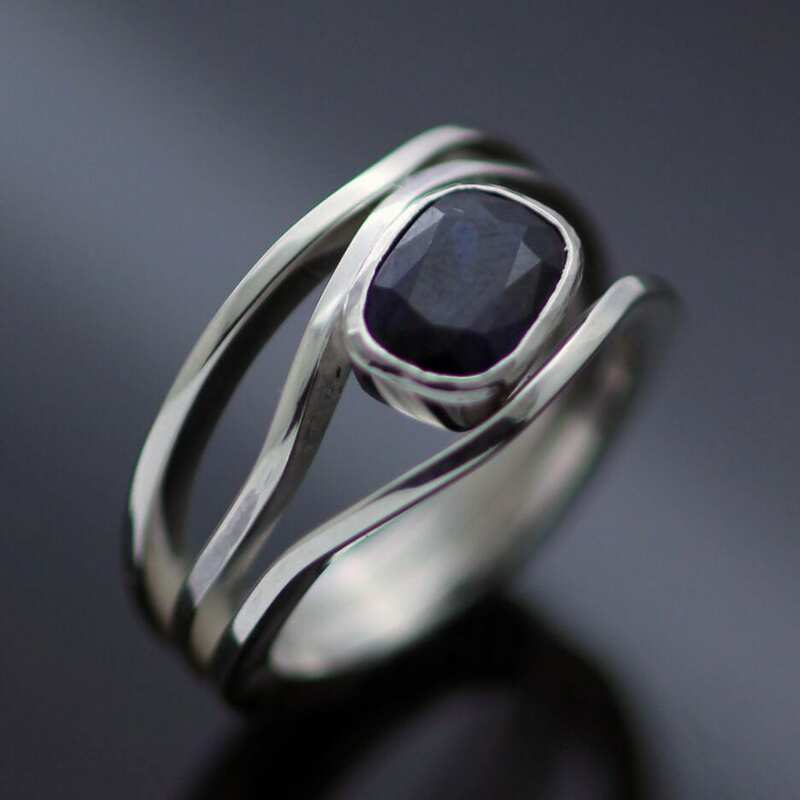 This sleek, modern cocktail or dress ring uses three separate curvaceous lines of Silver which flow softly around the finger, gathering in slow flowing waves to create a collet setting for a Sapphire gemstone. 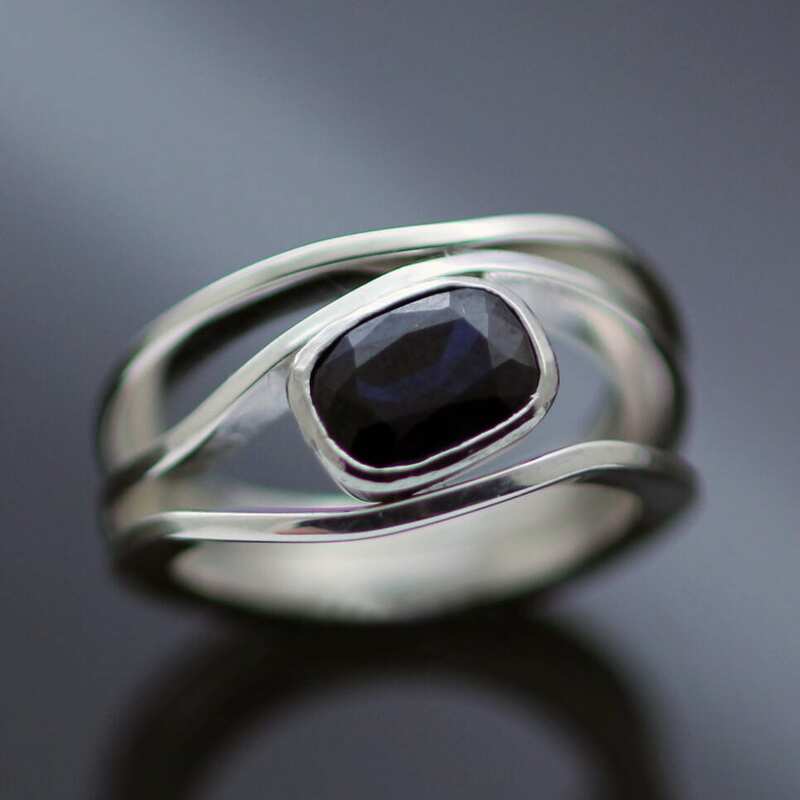 This beautiful custom made and truly one of a kind ring is finished with a glossy polished effect by our master Goldsmith Julian Stephens, to create this a memorable, meaningful design which proudly bears Julian’s exclusive makers mark and Hallmark.